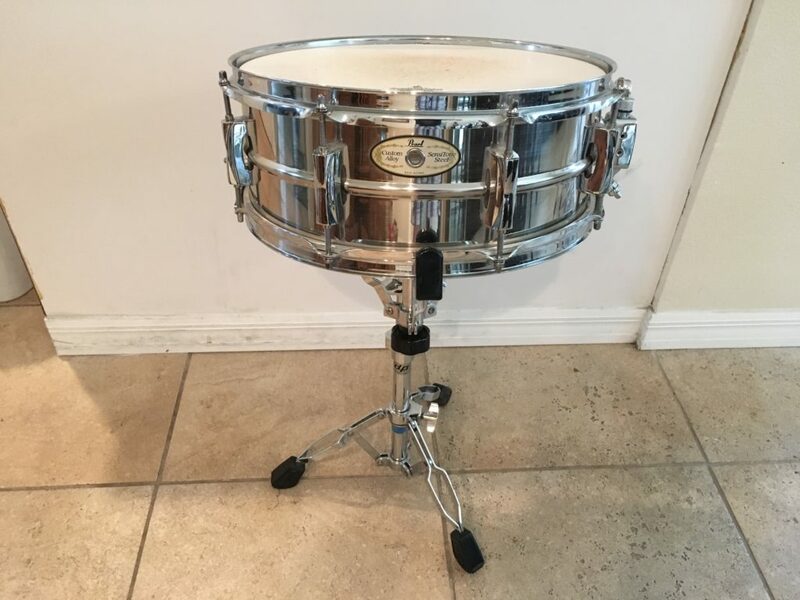 This is probably the oldest snare drum that I own. By the badges and hardware, I would surmise late-60’s, so it is about as old as I am. 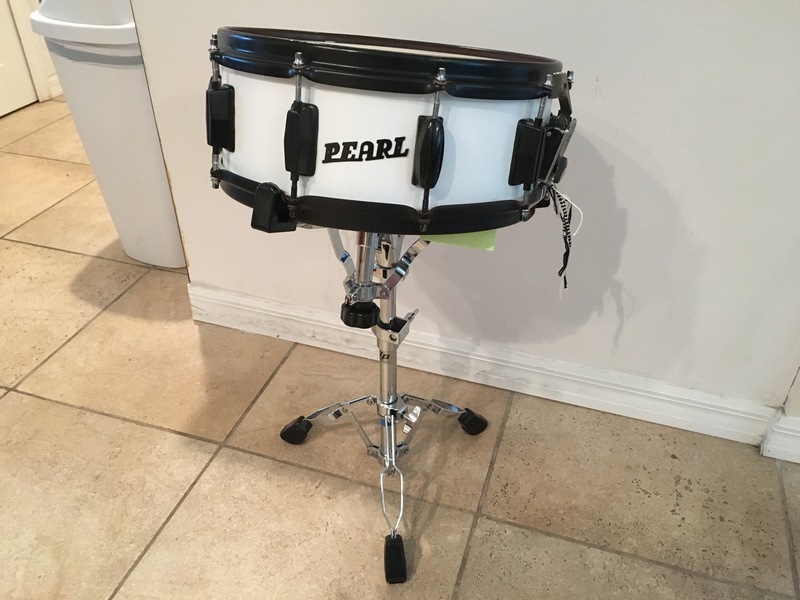 14″ x 4.5″, maple shell, 10 lugs. 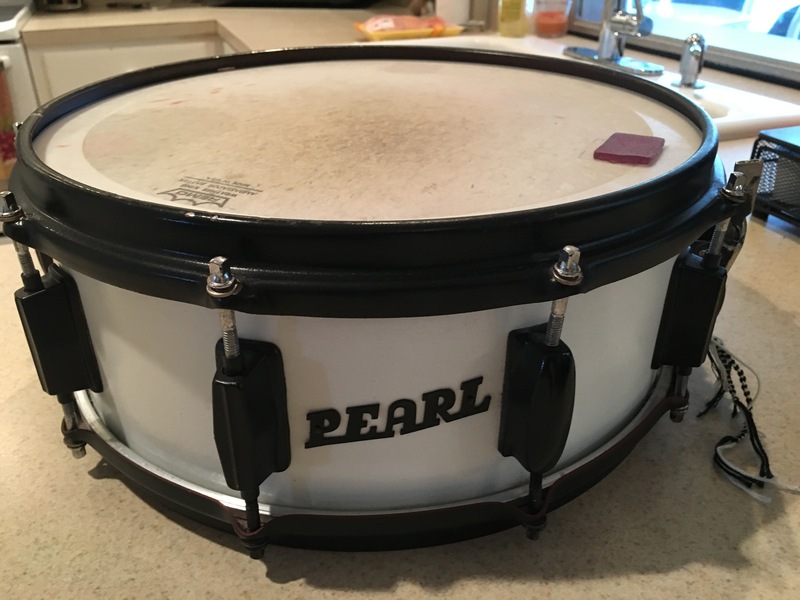 I love this drum. I have gigged with it since the 1980’s. 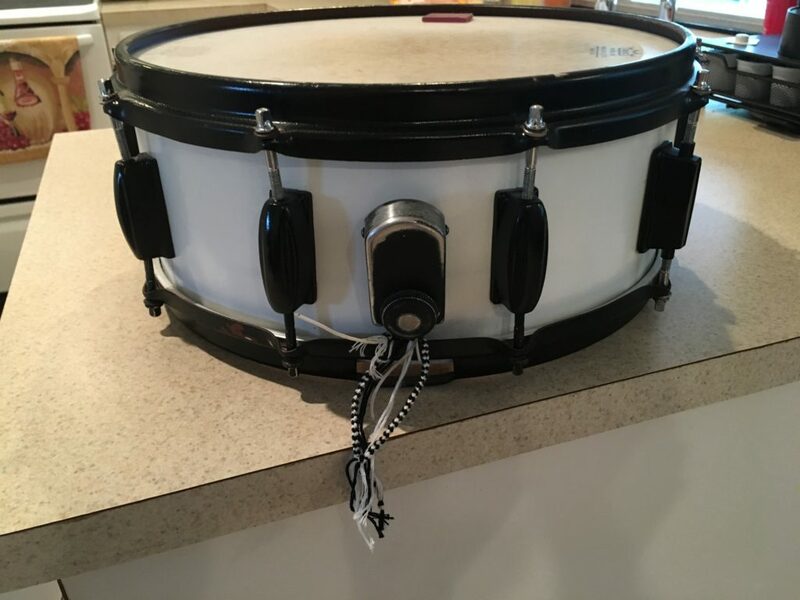 Originally a yellow sparkle wrap, it has been black, grey and now white since I have owned it. The hardware is a mix of original and what I have had laying about. 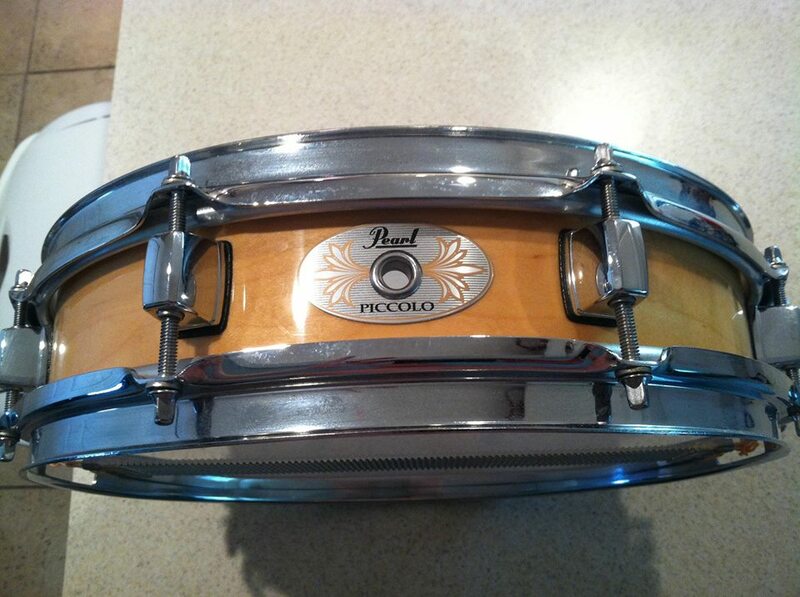 I contemplate restoring it back to original, but it sounds too good the way it is. 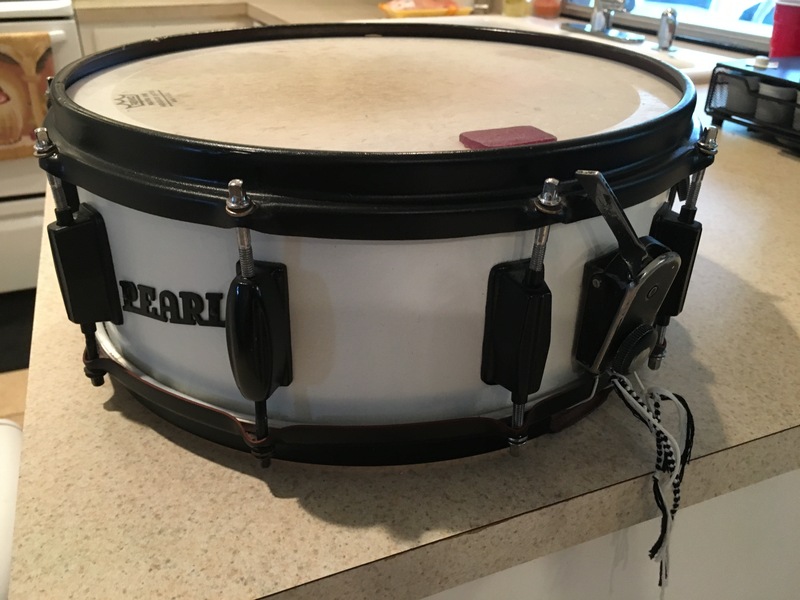 This is my Pearl Maple Piccolo Snare. 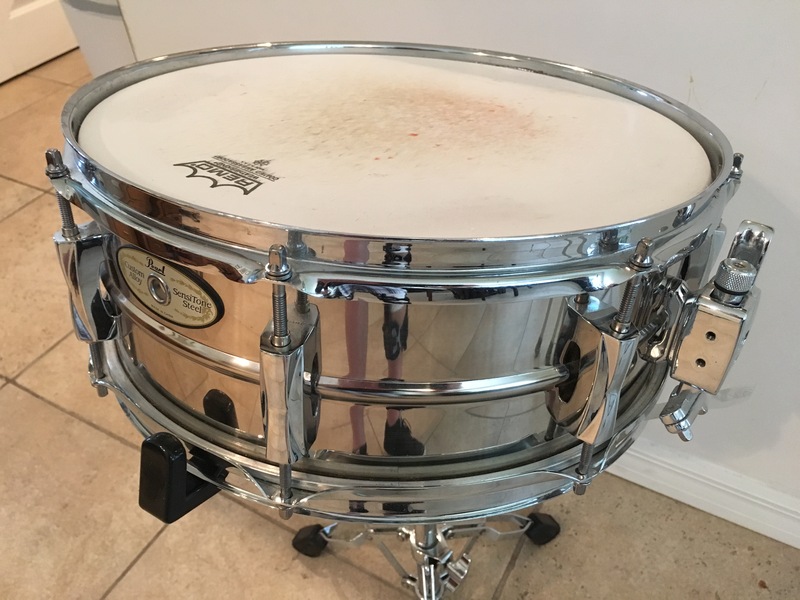 I do not have occasion to use any of my piccolo snares very often, but when I do this is typically the one I bring. 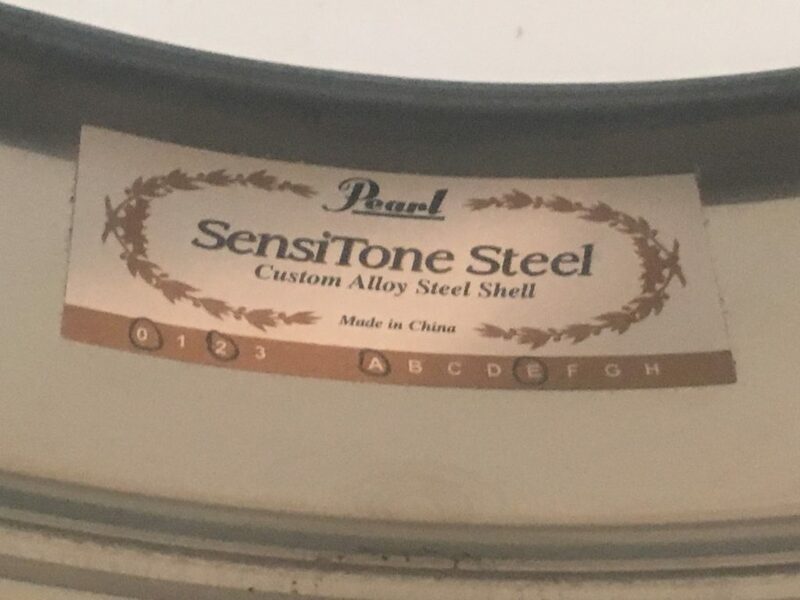 It has a very warm, mellow tone to it, much less ping than my metal piccolo. 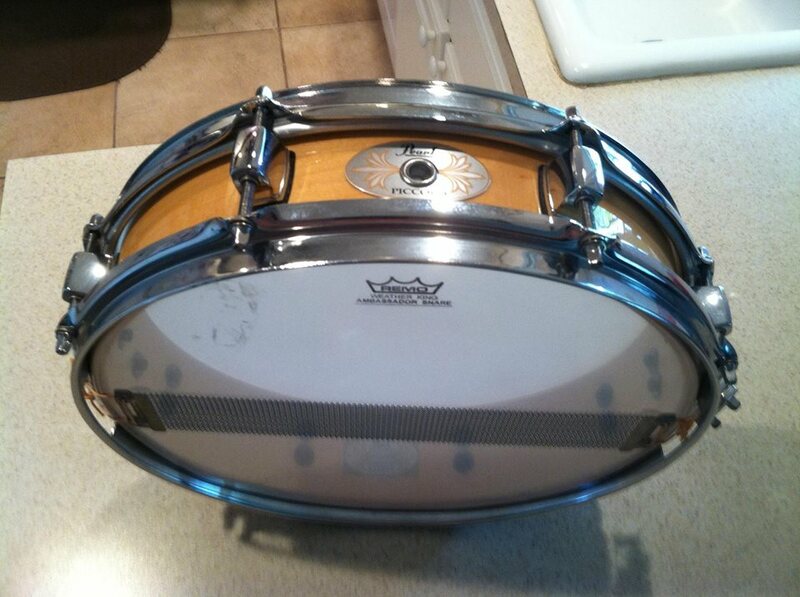 This is my Pearl Sensitone Steel snare drum. Pearl’s version of the Ludwig Supraphonic. Very versatile drum, very sensitive, but can crack out a rim shot or heavy back beat on demand. I gigged with it almost exclusively in my time with The DB9. 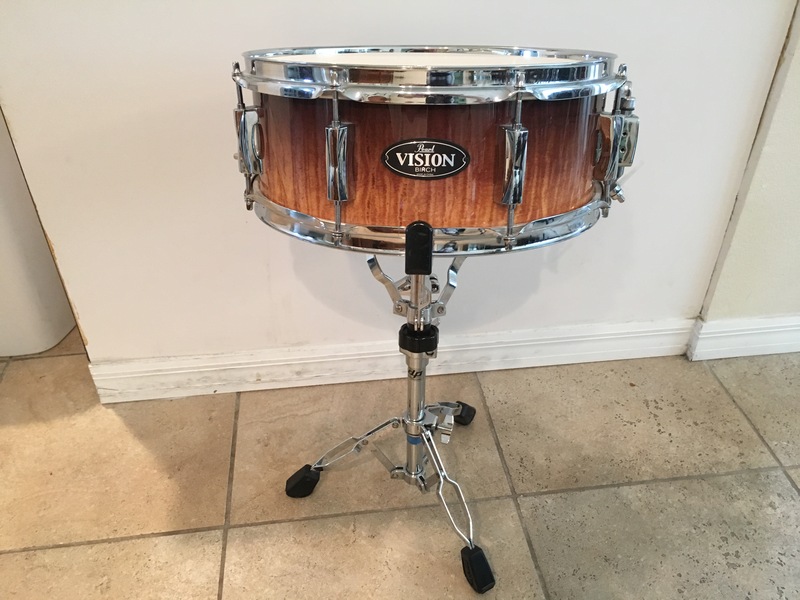 This my birch Pearl Vision snare. 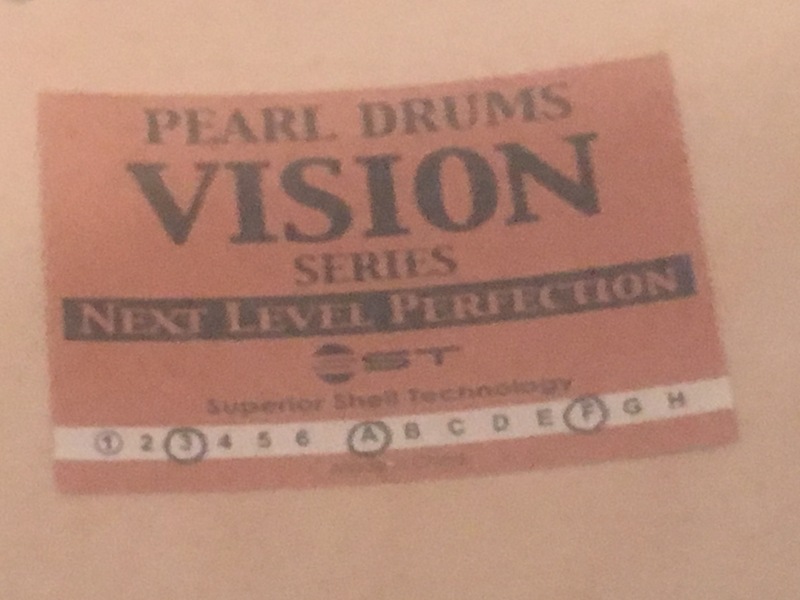 It came with one of my Vision kits. 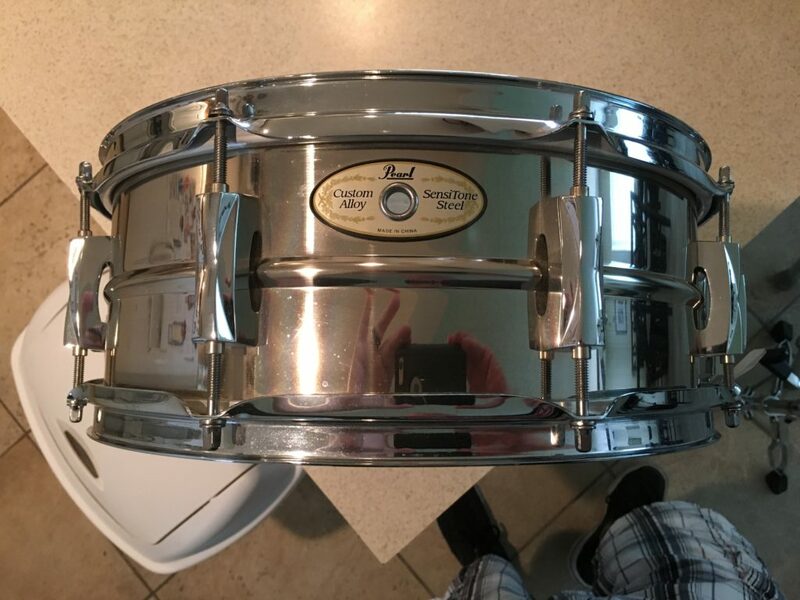 A nice, mellow sounding drum. 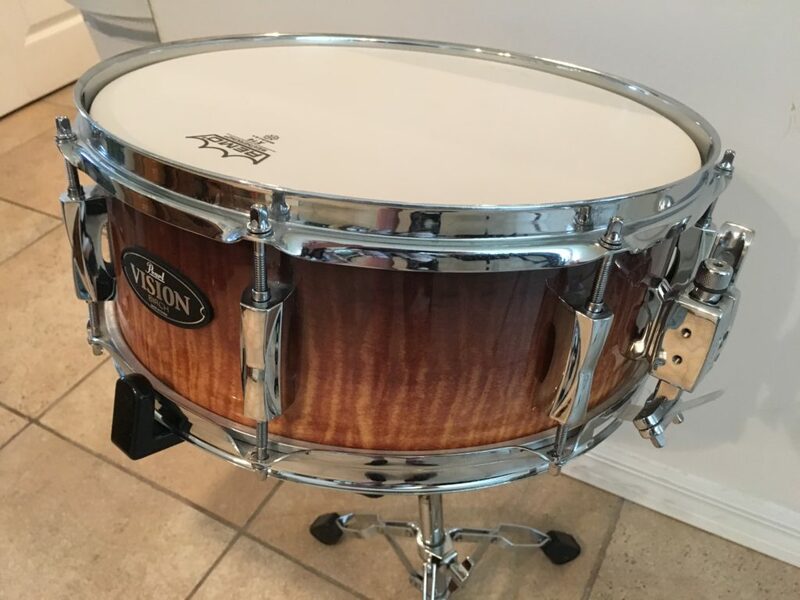 Sits well in any mix like only birch can do.